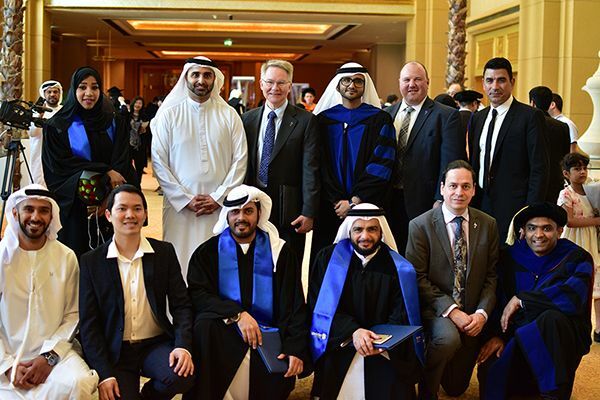 In collaboration with Yahsat and the Masdar Institute of Science and Technology, Orbital ATK proudly supported the first graduation ceremony of students from the space systems and technology program in Abu Dhabi. 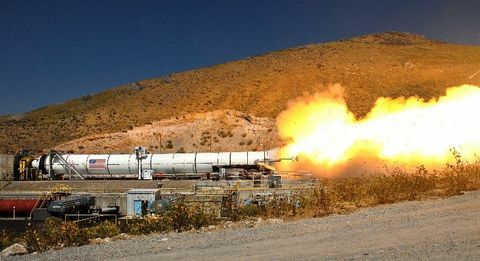 David W. Thompson, President and CEO of Orbital ATK, attended on behalf of the company along with Tom Wilson, Vice President of Strategy and Business Development for Orbital ATK's Space Systems Group. High ranking government officials from Abu Dhabi as well as the CEO of Yahsat, Masood M. Sharif Mahmood also attended the ceremony. Seven students received the Master's concentration in space systems and technology as part of an effort to further the country's space exploration goals. 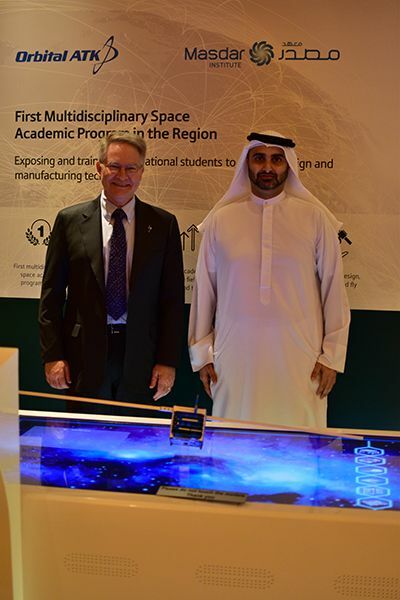 The space systems and technology concentration, launched in May 2015, is the first of its kind in the region. 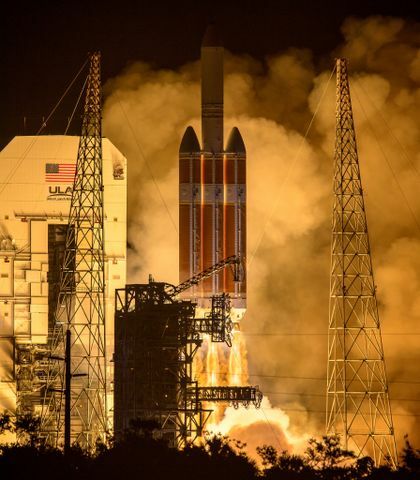 Through the program, Yahsat and Orbital ATK provided expert guidance, testing facilities and research assistance to students interested in the fields of science and engineering. Students and faculty of Masdar’s Space Concentration with staff of Orbital ATK and Yahsat. 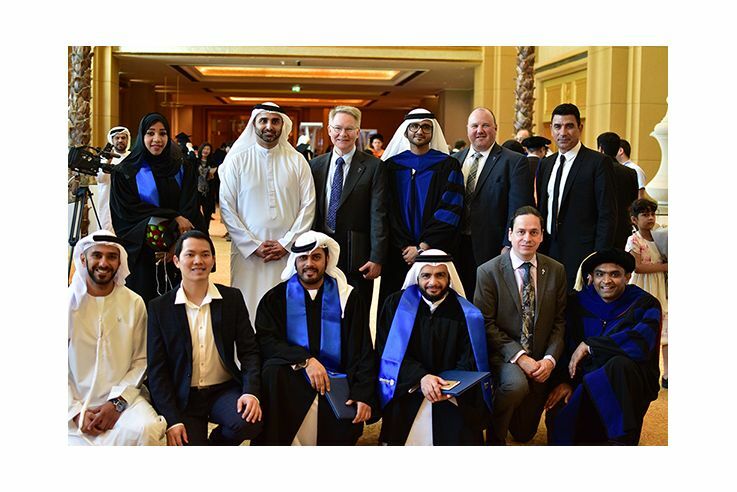 "For the past two years, Orbital ATK subject matter experts have worked with the Masdar students and we have seen them grow in their expertise and skills through the Space Systems and Technology Program," said David Thompson, President and CEO of Orbital ATK. "This ceremony is the culmination of their hard work and we offer the students and their families congratulations on their achievements. We look forward to the contributions these students will make to the country's new space program." 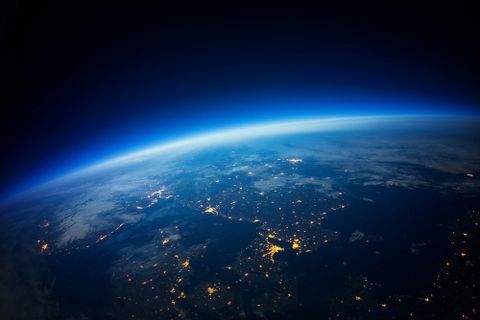 Earlier this year, the Masdar Institute and Yahsat also announced the launch of the Yahsat Space Laboratory at the Masdar Institute campus, which is being used by students to develop Cubesats. MYSAT-1 is the program's first satellite design, which began with the first cohort of students from the space concentration in August, 2015. Each Cubesat will be built with different payloads, such as cameras, sensors, and scientific equipment. As "The Partner You Can Count On" Orbital ATK is proud to execute on a key core value that demonstrates our role as an involved and responsible corporate citizen in the communities in which we do business. Dave Thompson and Masood Sharif Mahmood (CEO Yahsat) with model of CubeSat being built by Masdar students. 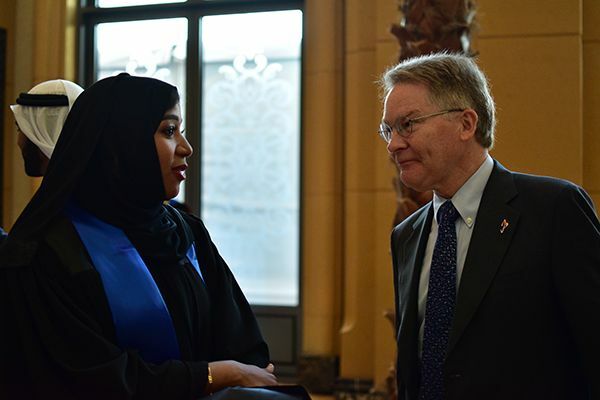 Dave Thompson speaks with Space Concentration student Sumayya AL Mehairi after the ceremony.